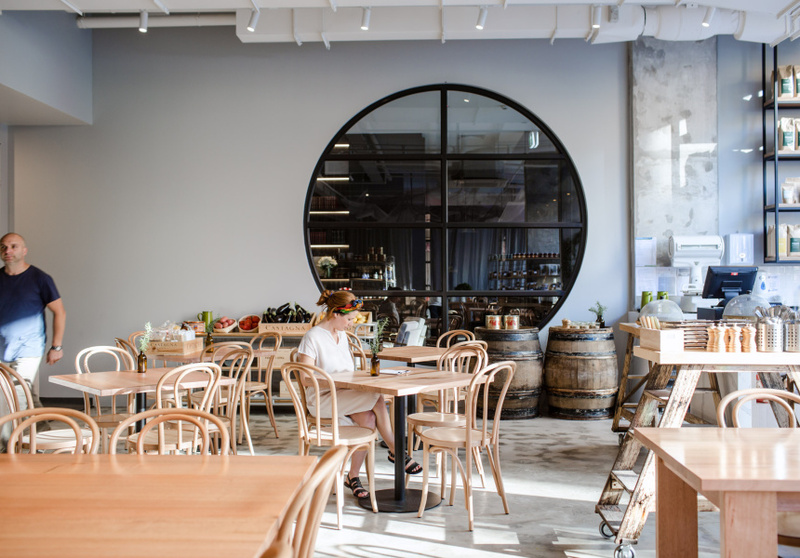 Project 49 is a deli, wine bar and restaurant by Rocco Esposito and his wife, Lisa Pidutti. The couple are based in Beechworth where they run a small cafe – also called Project 49 – and make organic chardonnay under the same name. A textile piece in various shades of pink – a reference to a country sunset – hangs from the ceiling, and the room is filled with tables and chairs in light wood. It’s warm but contemporary, with floor-to-ceiling windows lining the frontage. 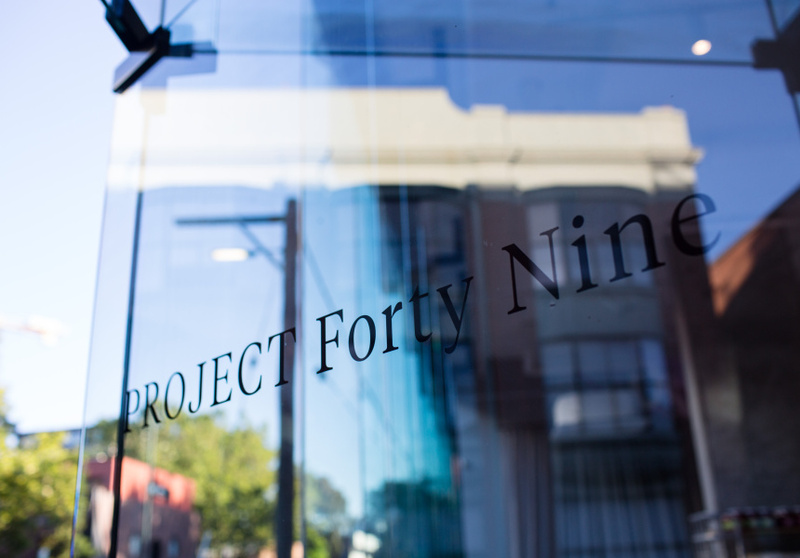 The total capacity of Project 49’s three spaces is around 350. The deli functions as a general store selling pantry goods such as tinned fish; olive oils; jams; biscuits and slices; and perishables such as meat and cheese. It’s also a cafe, open daily for breakfast and lunch. The menu is country Victoria with an Italian streak – think True Blue honey panna cotta with vin cotto for breakfast; and panzanella salad (bread and tomato salad) made with Beechworth tomatoes for lunch. At the wine bar you can enjoy a glass or buy a bottle; the selection has a focus on north-eastern Victorian wines. There are also wine-tasting events. 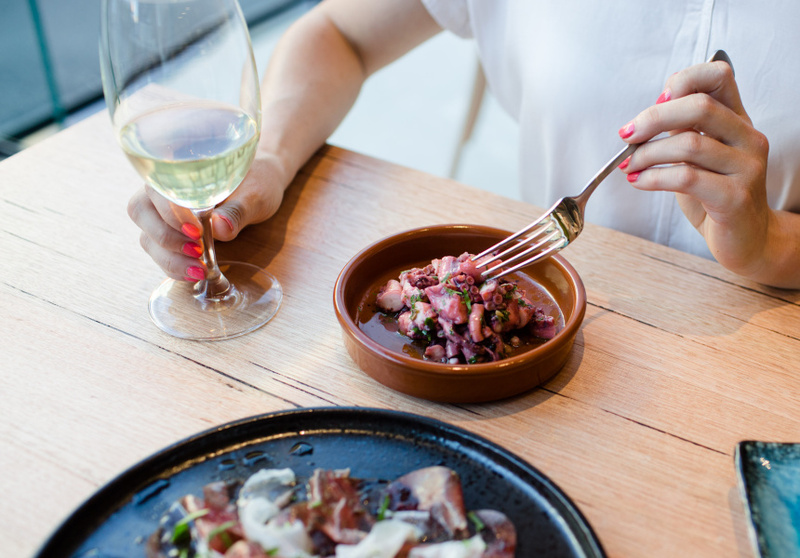 The restaurant, while more refined than the deli, it is still Italian-leaning and focuses on north-eastern Victorian produce.